Too much involved into Ethics? You don’t find people who are ethical nowadays, not even from the companies which have big Service Companies. That’s what i have seen, and that’s what i have heard. Just when all this turmoil was happening, i had an opportunity to talk to a Auto Driver who worked as a “MECHANIC” in HMT or the Hindustan Machine Tools. My Dad was in R&D there, and i have heard many good things that happened when he was there, and mostly, i can’t forget the Loyalty they had for HMT, and how it grew to one of the top companies in the country where some IITians first choice was joining it. He once said me, “Loyal, always be loyal to the Company!”. 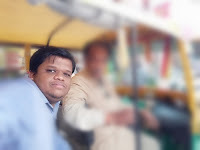 Few Days ago, in Bangalore, i was having a ride in a Auto Rickshaw in Bangalore. When i was in conversation with the Auto Rickshaw Driver, just to understand their roots and root problems, i came to know that he gave a 35 Years of Long service to the Company HMT. Well, there’s a superb ending for what he felt, but before that, i will tell some stories. They say the Watch Factory, which still stands like a abandoned bungalow near Peenya was one of the testaments of lost times. People used to think great about a person who had HMT Watches in his hand. No girl or family ever denied a Marriage Proposal of someone who worked at HMT. The driver said, “During the start of bad times, they used to have Titan shops next to HMT Shops. It was not just outside, but also inside the company there were lot of shams that happened. And, at the end, there were the big losses for the Company.” Remember this sentence, and come back and read again at the end. He was saying that Employees of HMT were treated goodly by the management, and he could still remember some people, while he remembered when he was in hurry for the meal, and the higher lady said: “Slow, and go. No hurries, and work will be complete!”. At one time, only officers from HMT were able to buy new Maruthi cars. But, later on… about the same company. He says about how people changed with time, “Some used to move out the company produces illegally”. And, this helped the competitors move ahead in their business. I have met many people from HMT, some here and there especially from the other segment of the company “The Watch Factory”. And, one even on TV like the actor Devraj in ‘Weekend With Ramesh’. I have always seen them “Cry” while they talk about HMT. Everybody who worked there would say like, “What a Company? How it changed. So much of discrepancy, and don’t know who sold our land, even for small bill amounts”. The driver said: “Honnu, Hennu, and Mannu.” it comes or doesn’t with or without fate. Most of the people from the company were transferred to Outstations, due to the losses. And, this was when many, like the Driver took Voluntary Retirement from SERVICE (VRS). Truly, you need to understand the meaning of the word service here. And, it happens in next few lines. 35 years of service, and i later came to know his age is 79… This was after my calculations and questions. And, he never got the complete money from the Company. The famous HMT Bhavan, were people could had gone to ask, itself is sold now! Even if anyone can understand the techniques used in Machine Design, or the Information Systems during the pre-internet era, it would be a great knowledge by itself, even forbid working on Designs there. Even after so many years of service, people still have that attachment towards HMT. No matter how many lost their living, and how many lives became a stress. I have never heard anything more painful from the people than ending, “Such a Great Company, and the Company was spoilt.” Never did i hear them saying, “The company spoilt us.”. I’m not at all talking about Big Companies of these days, like the “TATAs, Wipro or Infosys”. Though they do have layoffs. But, the chairmen of these have always understood their employees, or people from what i have heard and what i have undergone. But, there are lot of other companies, which are just born for just business. It’s for them. Losing such employees was the greatest loss of HMT, rather than the financial losses. Even to this day, Colleagues of my Dad send Festival Wishes by Post. Some remember him, and recognize me as his son. This is for the place and people with whom he worked for, and the humanity that bonded them. Even after these Bad and many Long years. Few Years, I wrote something about a bad experience as a customer of a company i previously worked for. I wrote a little, and didn’t post on my blog. It’s just there, somewhere. It lies just like a piece of paper, though every line in it doesn’t lie. And, when you question Ethics nowadays, they question your loyalty. That’s how Generation of People change. But, Dad, i have always kept up those 2 words “Be Loyal”. But those who unnecessarily cause turmoil, it doesn’t matter for a person who knows things like a “Royal”.